The op-ed talks of Argentina as an open country. It does not mention that the drug cartels have taken notice. Argentina doesn’t produce cocaine, but its porous borders, roads, rivers and ports make it a good transit point. Low chances of prosecution also attract drug dealers, says Patricia Bullrich, Argentina’s security minister. Since 1999, Argentina has successfully prosecuted only seven money-laundering cases, according to the U.S. State Department’s latest international narcotics report. That record has inspired traffickers from Colombia, Peru and Mexico to buy luxury homes and farmland—which can accommodate clandestine airstrips—to evade tougher controls farther north in South America and secure profitable southern supply routes, officials say. 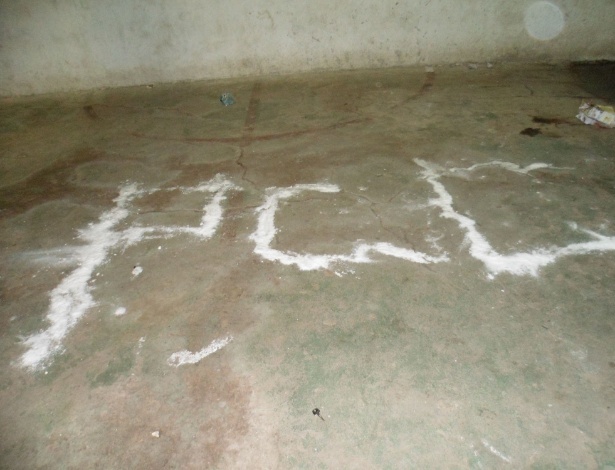 As you may recall, back in 2008 I posted on how Mexican drug cartels can use Argentina as an entry (ephedrine/pseudoephedrine) and exit (cocaine) point, as the country became a hub for U.S. methamphetamine and European cocaine. By 2013, Argentina was believed to supply 70 tons of cocaine a year to Europe, a third of its annual consumption. The entrepreneur, who for a brief period was Brazil´s richest man, is accused of paying $16.5 million in bribes to the former governor of Rio de Janeiro state, Sérgio Cabral, according to a police spokesman. The alleged payments were made from 2007 to 2014, while Mr. Cabral was in office, according to police officials. 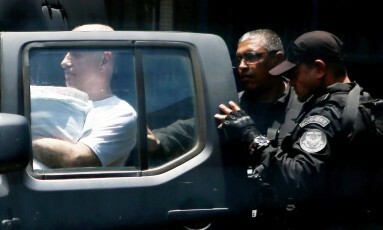 Mr. Batista and his lawyer, Fernando Martins, said the businessman left Brazil for business reasons Tuesday night, two days after police sought to arrest him, and didn’t know an arrest warrant was about to be issued. Brazilian prosecutors said in September that Mr. Batista paid bribes of $2.35 million to the presidential campaign of former President Dilma Rousseff in 2010. The prosecutors, who are leading Brazil’s so-called Operation Car Wash investigation centered on embezzlement at state oil company Petróleo Brasileiro SA, said Mr. Batista came forward in June to offer them the information. Prosecutors filed no charges against Mr. Batista at the time and said they were investigating the alleged payment. Mr. Batista also was indicted for financial crimes related to the failure of OGX, the oil company he created, which filed for bankruptcy protection in 2013. O Globo (link in Portuguese) reports that Batista negotiated with federal authorities the terms for his return, since they regarded him as a fugitive. However, according to O Globo, the authorities did not make a formal request to the U.S. for Batista’s arrest. how their lives have been ruined by President Trump’s executive order on immigration. Obama went from soliciting Latino votes in the 2008 election by promising to tackle immigration reform in his first 100 days to never getting around to crafting a remedy for the estimated 11 million illegal immigrants in the United States. And he went from criticizing the George W. Bush administration for sending federal agents to arrest nursing mothers who were “torn from their babies” to essentially deputizing, through Secure Communities, thousands of local and state police officers to enforce federal immigration law by checking the immigration status of anyone with whom they came in contact. In recent weeks, the same person who – in August 2010 – signed a $600 million border security bill proposed by Senate Democrats that put more agents, fencing and equipment on the U.S.-Mexico border expressed worry about his successor’s plan to build a border wall. It’s surreal to hear Obama and other Democrats express their indignation at the idea that people could be deported and families separated when, for the past eight years, this has been standard operating procedure for the Obama administration and the party that covered up for it. There needs to be an honest and serious accounting of Obama’s cynical and cruel immigration record. the countries whose citizens are barred entirely from entering the United States is based on a bill that Obama [*] signed into law in December 2015. Obama signed the Visa Waiver Program Improvement and Terrorist Travel Prevention Act as part of an omnibus spending bill. Mexico’s President Cancels White House Visit After Trump Hits CartelsMexican President Enrique Peña Nieto has cancelled his planned visit to the U.S. where he was expected to meet with President Donald J. Trump. The cancellation comes after Mexico’s government denounced Trump’s new border security measures aimed at interfering with the cash flow of the very Mexican cartels believed to have financed the current Mexican president’s campaign. There’s room for discussion on whether or not the cancellation is directly related to this. However, Peña Nieto’s approval ratings last week were at 11%. Every minute the media in the U.S. and in Mexico spend berating Trump and/or what Trump may or may not do is a minute they don’t spend examining the reasons why Mexico’s government has failed – and continues to fail – its own citizens. Remember also that Peña Nieto’s popularity started its precipitous decline after the 2014 disappearance of the 43 Ayotzinapa students. Only the remains of one student have been found. The Ayotzinapa massacre, not Donald Trump, is emblematic of Mexico’s failures. Linked to by Maggie’s Farm. Thank you!